The roof system is a part of the roof structure on the outside that is supported by the supporting structure. The lathing and rafter system is its part. The triangle underlying this system should be the toughest and most economical structural element that contains the roof rafters. 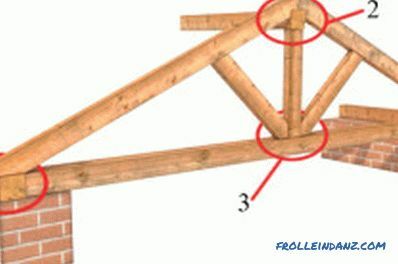 The main fastening points of the truss system of the roof are shown in fig. 1. They imply the presence of a truss foot (a Mauerlat - 1), a truss foot (a ridge girder - 2), a stand (a puff - 3). 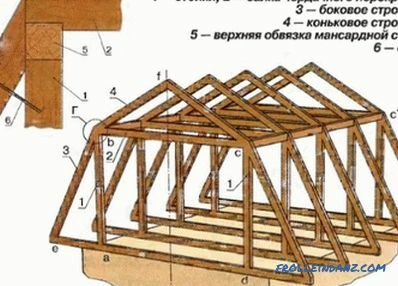 The design of the truss system is the main supporting element of the roof. All the roof fastening points must have sufficient strength, this should exclude a significant degree of risk associated with the roof collapse. The consequences of an error when connecting elements may be the most unpredictable. Figure 1. 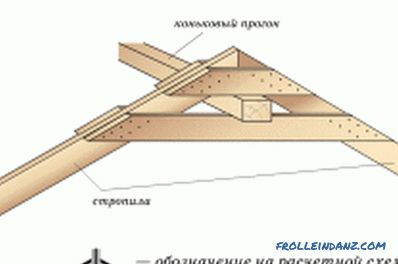 The main attachment points for the roof truss system are: 1 - mauerlat, 2 - ridge girder, 3 - puffs. First, install the rafters on the mauerlate, if the building has brick walls. Similar units are provided for blocks of concrete, then it is necessary to create a reinforced concrete belt of rigidity, and studs must be inserted into its structure. Their location should be at a distance of 1 to 1.5 m from each other, and their diameter should be more than 14 mm. The top of the studs must be equipped with a special thread. Mauerlat is drilled, making holes that are necessary for fastening elements on it. Each of the holes must have a size that coincides with the diameter of the stud, and its pitch must correspond to the distance between the studs. At each protruding end, the studs put on the nut and tighten it, thereby ensuring the strength of the connection between the power plate and the wall. Connect the rafters with the mauerlat should be so as not to weaken their carrying capacity. 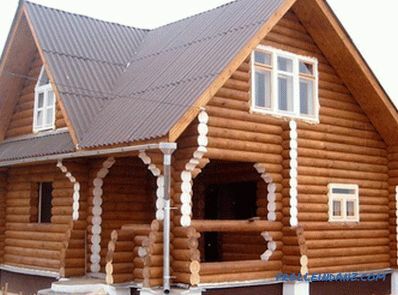 If a round log or a bar was used during the construction of the house, then it is not necessary to create an armor belt. The connection of the rafters produced on the top beam or on the wall log. 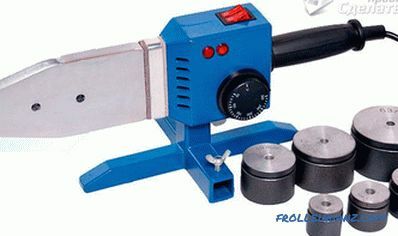 For this purpose, the connection of the power plate with the rafters is used in various ways of cutting. Varieties of the corner of the CD. 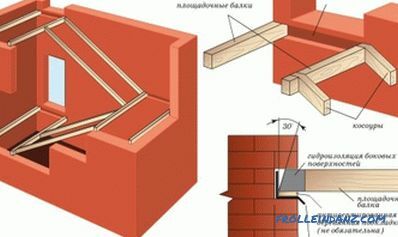 If the brackets are used when connecting the rafters to the mauerlat, then they are not produced on the rafters, which helps to strengthen the carrying capacity. Metal brackets are usually produced, and the metal is galvanized and has a thickness of 0. 2 cm. Brackets are strengthened with nails, anchor bolts or screws. 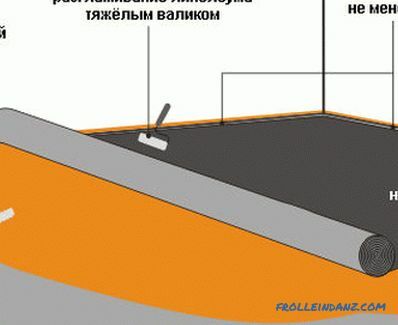 It is possible to use the LK fastener, creating fastening points not only rafters with a power plate, but also other various elements that make up the roof structure. The LK fastener is strengthened to the wood, as are the brackets, with the exception of the use of anchor bolts. Perforated mounting tape allows you to strengthen the connecting nodes in the construction of roofing systems. It is used not only to create more durable components, but also to strengthen the elements for additional use in order to impart rigidity or strength to the system as a whole. Fix the perforated mounting tape with screws or nails, so it is used to strengthen the construction of the system of rafters of any roof, the integrity of which will not be violated. With the use of corners of the CD and their various modifications, the attachment points are strengthened so that they can effectively participate in connecting the power plate and the rafter. Ensuring the appropriate strength of the roof nodes is permissible when using corners, which allows to increase the bearing characteristics of the roof structure. 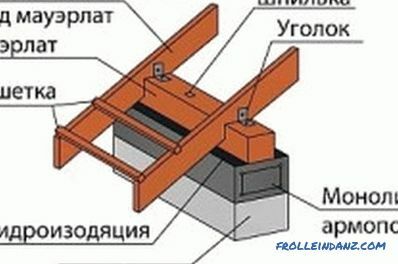 The use of metal connecting elements is not related to the insertion of corners into the roof system. This will not cause a decrease in the carrying capacity of the roofing system. You can use the corners for joining with the use of screws or nails, the protrusions of which resemble a ruff. How to connect the nodes in the ridge part? Fastener based on ridge girder. For the purpose of attachment, the first method cuts the ridge part from the top edge at an angle that is the same as the angle of the roof slope. Then it rests on the necessary rafter, which must also be cut at an angle, but from the opposite side of the roof. For trimming corners sometimes use a special template. The nails for connecting the rafters under the ridge should be 150 mm or more in size, they will need two pieces. Each nail is hammered into the rafters in their upper part at an appropriate angle. 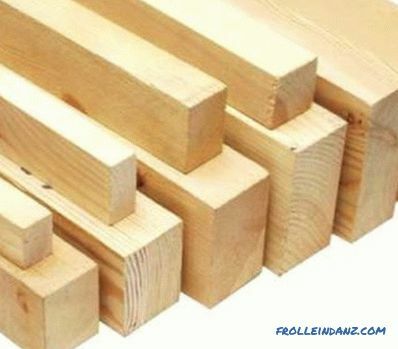 The sharp end of a nailed nail usually enters a rafter cut from opposite sides. 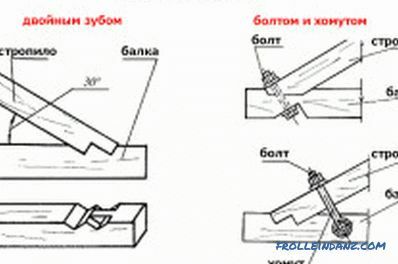 Strengthening the ridge joint can be achieved by imposing a metal plate on the side of it or a wooden lining so that it was enough to attract it with the help of bolts or nails. 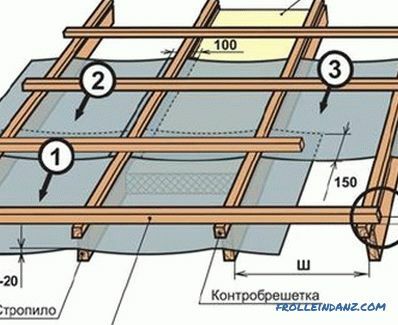 Diagram of options for attaching rafters to the wall. The connection by the second method, that is, through the ridge girder, is connected with the strengthening of the rafters on the ridge bar. Run is one of the additional support beams or beams, which is a support for the rafters. It is located parallel to the skate or Mauerla. The method differs from the previous one in that between the rafters, which are sawn at an angle, the ridge beam is laid, which is a laborious process, therefore this method is used less frequently. A more common method, which is similar to the first, but it differs in that the mount is made with overlap, and the joint method does not apply. 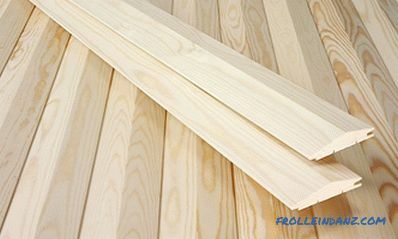 Rafters should be in contact with the ends, and not the side surfaces. Pull off the rafters should be a bolt or stud, nails. This compound is used by many craftsmen in practice. In general, it is possible to install rafters on the mauerlate by creating structures for roofing truss systems that are spacer or non-slanted. This determines the choice of the appropriate method of connecting the power plate and the rafters, which can be similarly fixed to the ridge. The problem of choosing a method for attaching a truss system to a building structure is very important when creating fasteners. Often when creating knots, the mauerlat serves as a support for rafters. The fixing of the power beam is carried out "firmly" with the help of anchor bolts to the reinforced stiffening belt. Ridge connection scheme of the truss system. A possible flaw is an unsecured stiffening belt, which may lead to the tilting of the power beam and the violation of the stability of the roof truss system. Roof loosening occurs, and the roof slides down. Because of the erroneous placement of anchor bolts or incorrectly made holes, the attachment is no longer effective. If the nuts are screwed on the bolts with a fastener, the mounting point becomes fragile and undergoes rapid destruction. In order to create a fastener, wire twisting is sometimes used. When constructing a truss system, secure the connections. For example, if the truss structure is combined with the overlap without taking into account the bearing capacity of the attic overlap, then this is the most dangerous moment that may entail the destruction of the building. The attachment of rafters to the power plate. 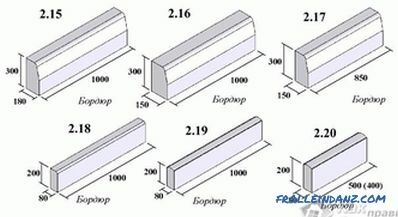 If the tightening is changed to a precast reinforced concrete floor beam intended for bending, the use of precast reinforced concrete beams should be effective due to their rigid fixing in the reinforced floor reinforcement belt, which is constructed using a reinforcement cage. Its axis should go in the same direction with the existing forces. 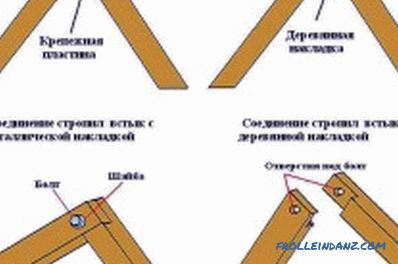 However, the presence of shortcomings in the process of creating a truss system, which is a bearing wooden structure of the floor, often arises due to a misunderstanding of the functions performed by the tightening and the crossbar in the entire roofing system. 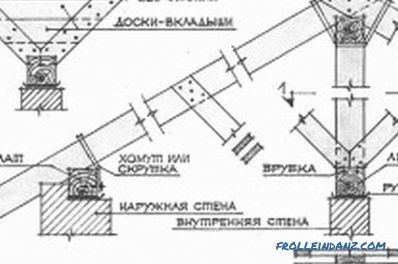 Tightening differs from the bolt in that it is a longitudinal, and the bolt - a transverse beam. The construction of the truss system is associated with the creation of a spacer system operating on the principle of divergence at the bottom of the planes, which occurs under the influence of not only their own weight, but also the load that falls on the line of intersection of the planes, which should be prevented by the cross beam there is a drag. Starting to install the roof, you should find out all the points related to the assumption of certain errors that arise when working on the device truss system. The roofing of the house is associated with possible difficulties and shortcomings that do not allow to achieve the goal. How do I level the floor quickly?